Carleton Place is a town in Eastern Ontario, Canada, located along the Mississippi Lake with approximately 10,644 permanent residents. The town called upon Kelso Coating to waterproof a wastewater tank that would ultimately serve one of the area’s new subdivisions. 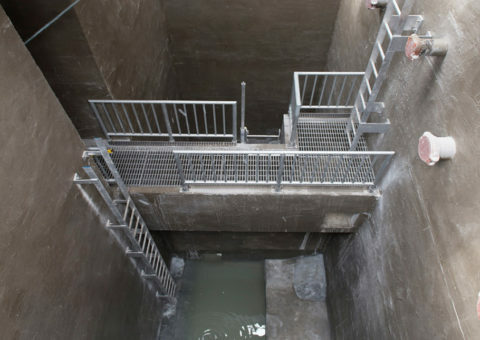 The tank was scheduled to undergo a leak test prior to being put into service; however, there were no liners installed on the inside of the tank’s shaft. 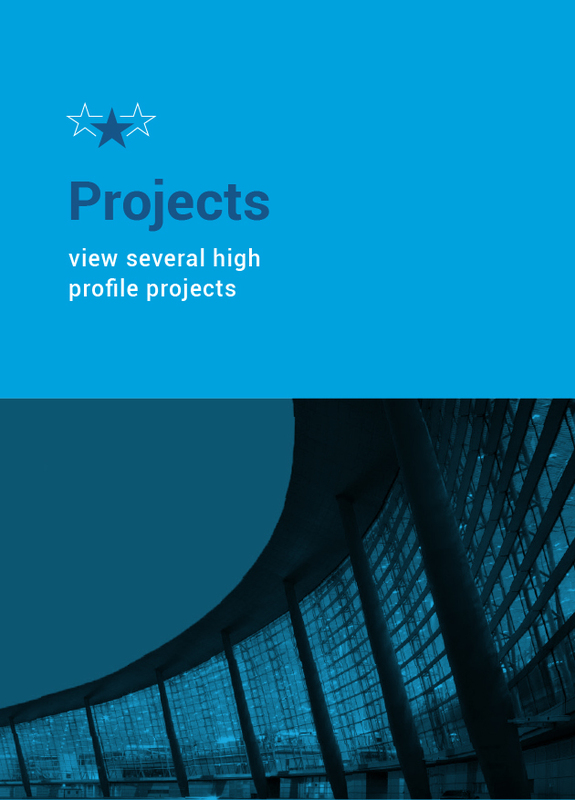 Only traditional, positive-side waterproofing had been installed and admixtures to the concrete was specified but the GC was not confident that this would be suitable for the amount of water infiltration occurring during construction. 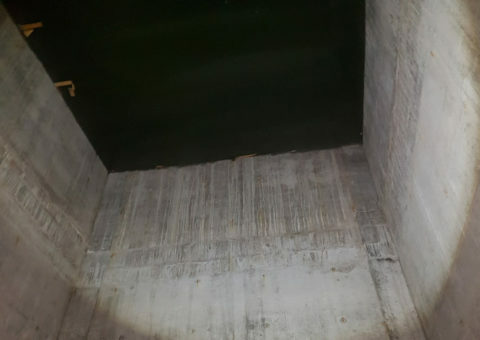 Kelso Coating applied the CN2000 waterproofing system to the entire inside of the wastewater tank (wet and dry side) to protect against water infiltration inside the structure, as well as contaminants exiting the structure. 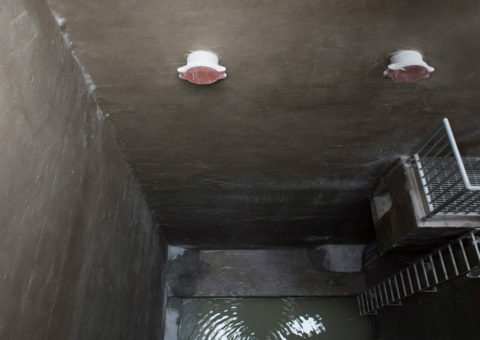 The final leak test revealed that the CN2000 product was successful in completely waterproofing the tank and preventing any signs of leakage. When the GC wanted confidence in their waste water tank that there would be no issues, they called upon Kelso to assist them with this project. 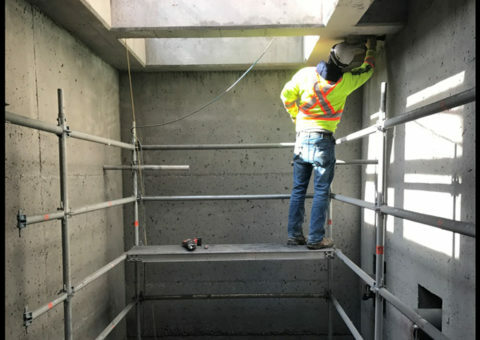 Our certified application crew, CR Stop Leaks mobilized to Ottawa and hired a water blasting company to water blast the walls and slab of the concrete tanks to open the pores of the concrete, which will allow for our activating materials to migrate into the structure. With the matrix of the concrete and the water, CN2000B will produce microscopic “needle like” crystals which will fill the pores, micro-cracks and capillaries naturally existing in concrete to prevent any water infiltration as well as water leaking out of the tank. As long as water is present in the concrete, the activating materials will continue to produce these insoluble crystals but if there is no signs of water, the activating materials will remain in a dormant state until another dose of water re-enters. 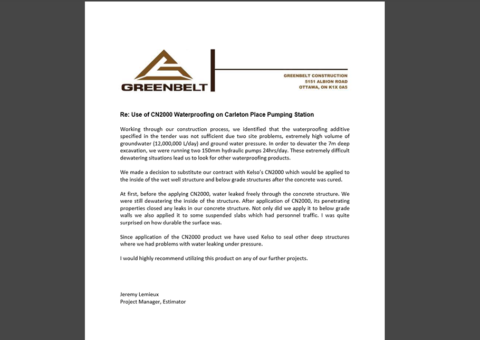 If for example, a hair line occurs days or even years after the application of CN2000, it will trigger the chemical reaction once again by self-sealing the crack and continue to produce the insoluble crystals preventing any further water infiltration. 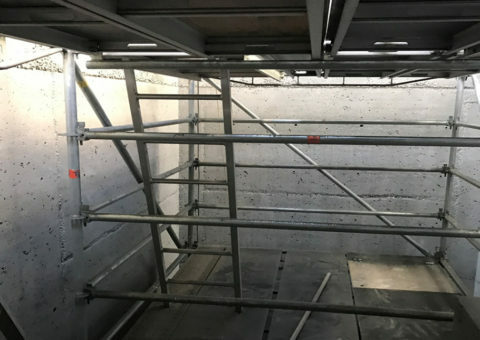 Since Health and Safety is Kelso’s priority, we hired a licensed scaffold contractor to set up scaffolding in order for us to reach all areas of the tank. 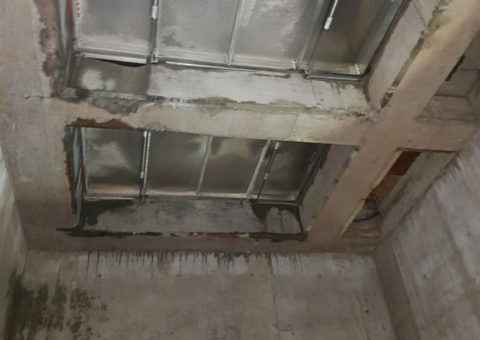 Once all the cracks and cold joints were grooved, CR applied the full CN2000 waterproofing system to the interior (positive side) of the waste water tank. 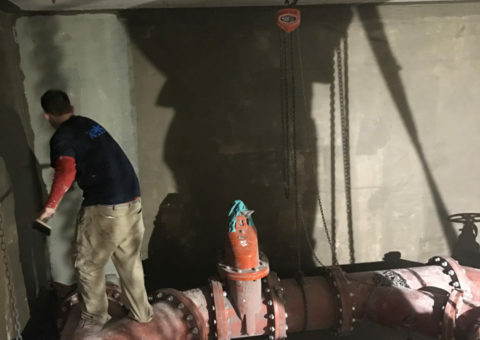 Due to the amount of water infiltration occurring in this structure, it was imperative that our crew of certified applicators identified all the active leaks and terminated them by using CN2000A – insta plug. 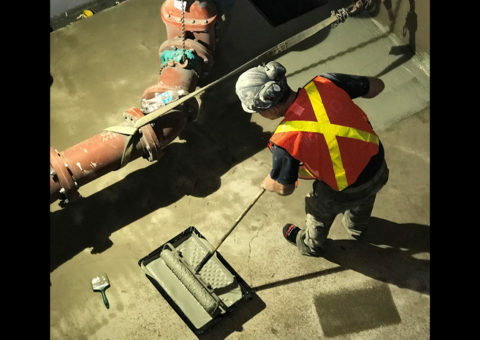 Once all the leaks were controlled, CR proceeded to wash and saturate the concrete walls and slabs prior to the application of the first coat of CN2000B with a brush. After initial set, a second coat of CN2000B was applied in a perpendicular direction using a trowel. All grooves were filled on this second application making it flush with the existing structure. For hydration and curing purposes, a single coat of CN2000 C/D (Polymer Modified Cementitious Waterproofing Coating) was applied on top of the CN2000B coating after initial set.